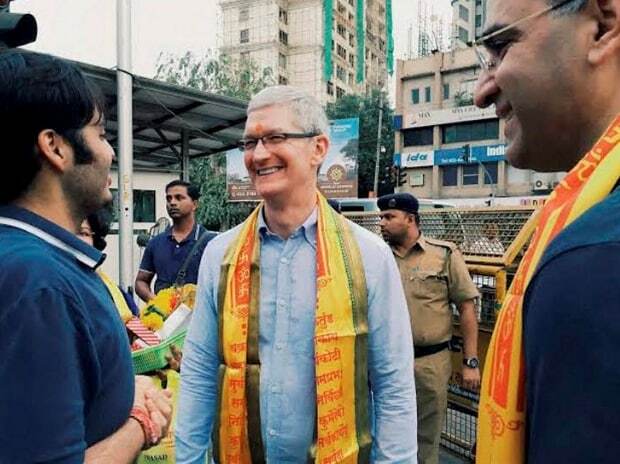 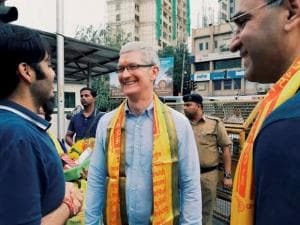 Apple’s CEO Tim Cook interacts with Anant Ambani, son of industrialist Mukesh Ambani, outside Siddhivinayak Temple in Mumbai. 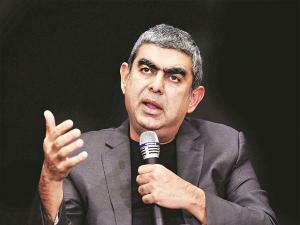 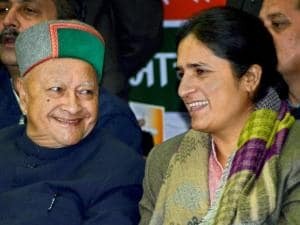 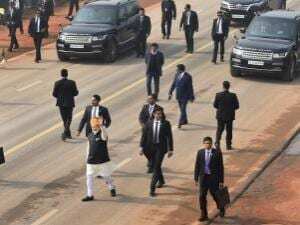 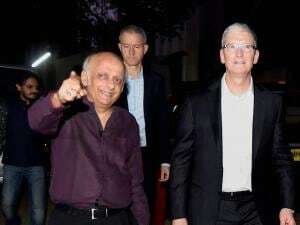 Apple India head Sanjay Kaul is also seen. 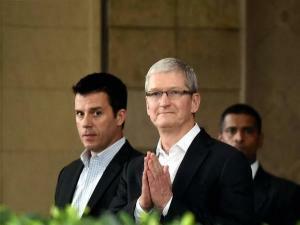 Apple’s CEO Tim Cook greets in 'namaste' style at the Taj Mahal Palace hotel in Mumbai. 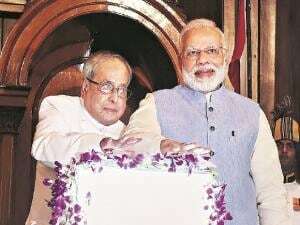 Apple’s CEO Tim Cook with Mukesh Bhatt in Mumbai. 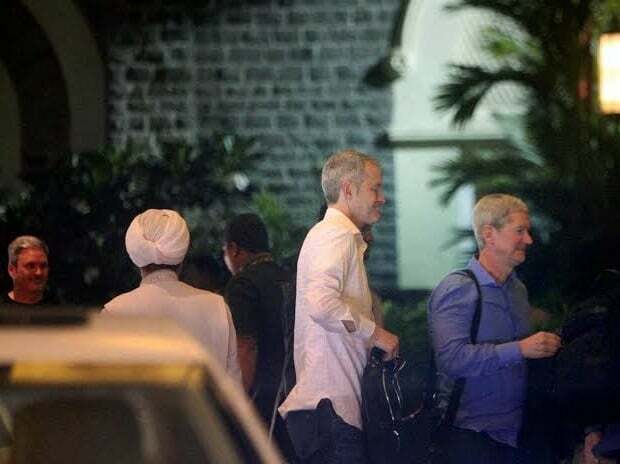 Apple’s CEO Tim Cook at the Taj Mahal Palace hotel in Mumbai. 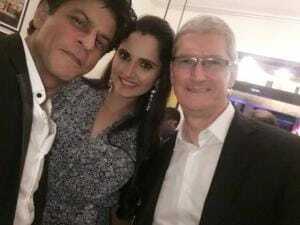 Apple's CEO Tim Cook with Shah Rukh Khan and Sania Mirza. Photo tweeted by @MirzaSania.